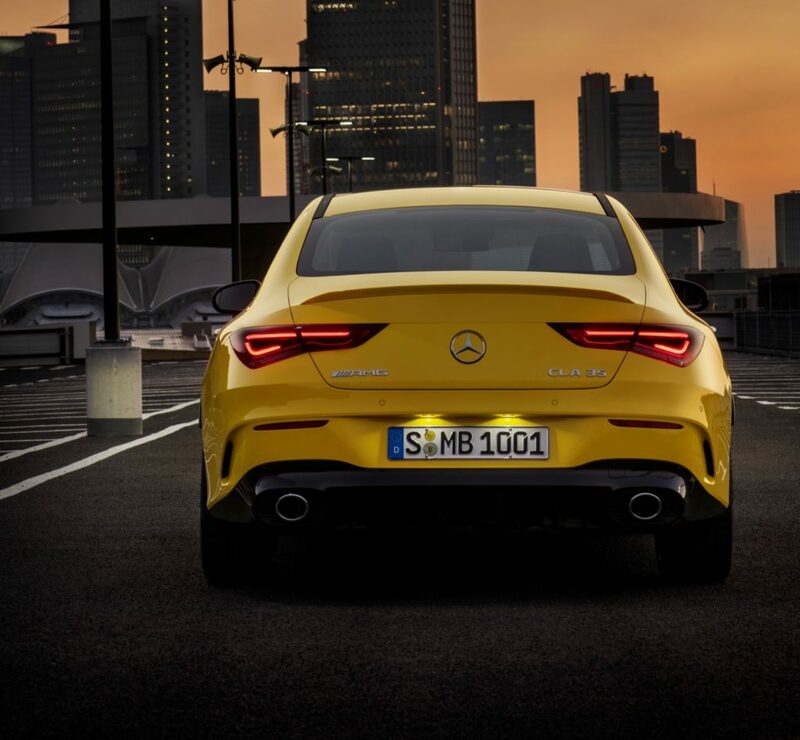 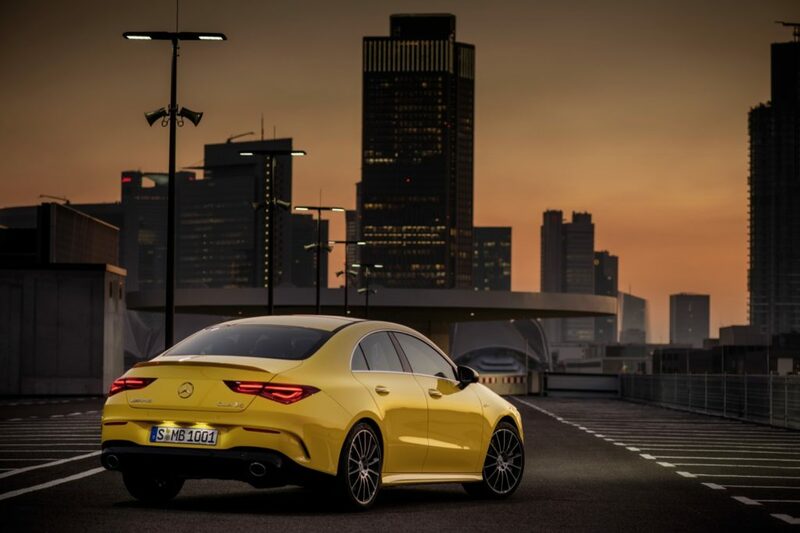 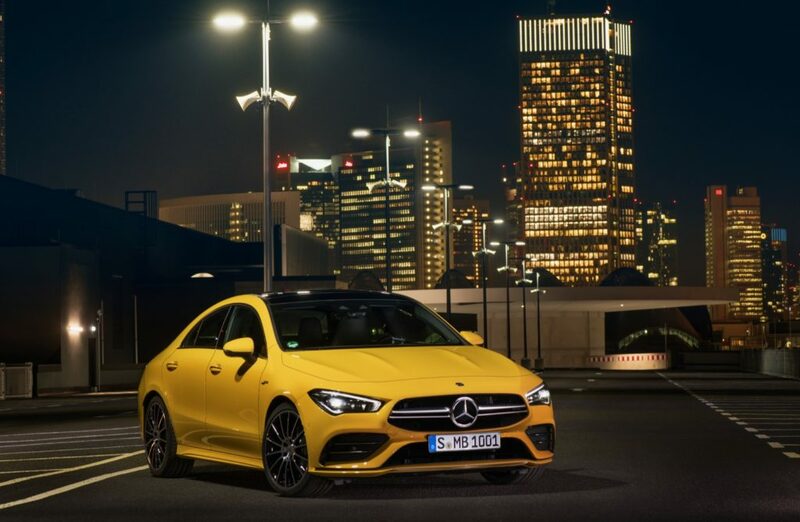 Mercedes-Benz has unveiled the latest Mercedes-AMG model, the CLA 35, which is going to debut this month at the New York Auto Show. 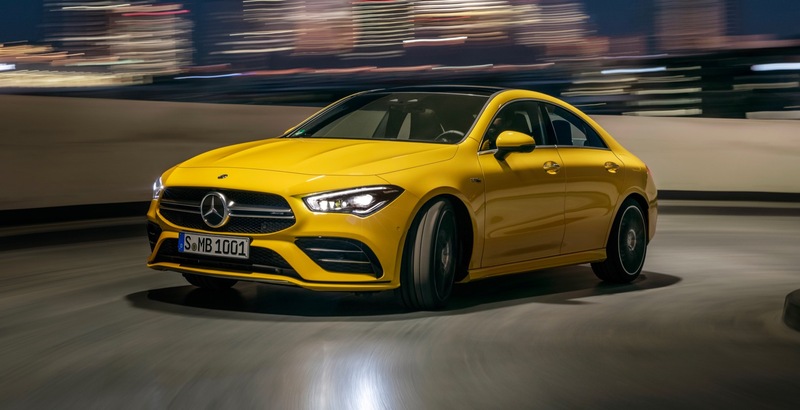 The 2020 Mercedes-AMG CLA 35 is the first of two high-performance CLA models that the brand is planning. 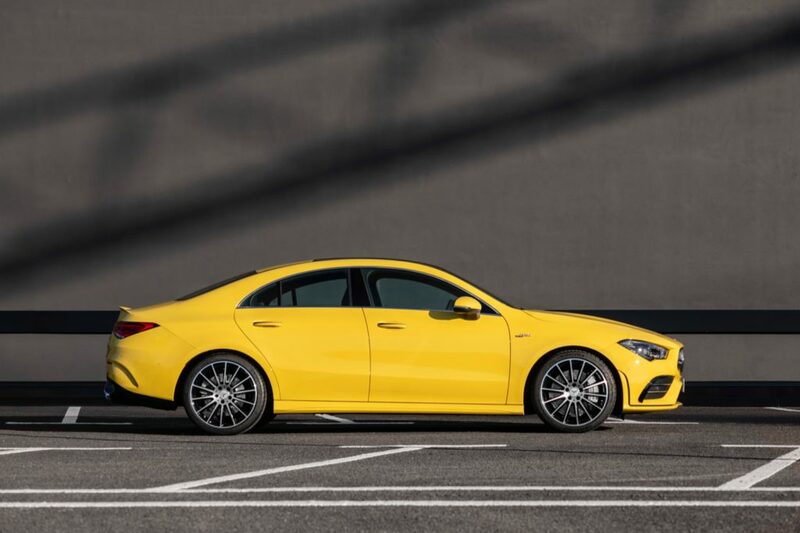 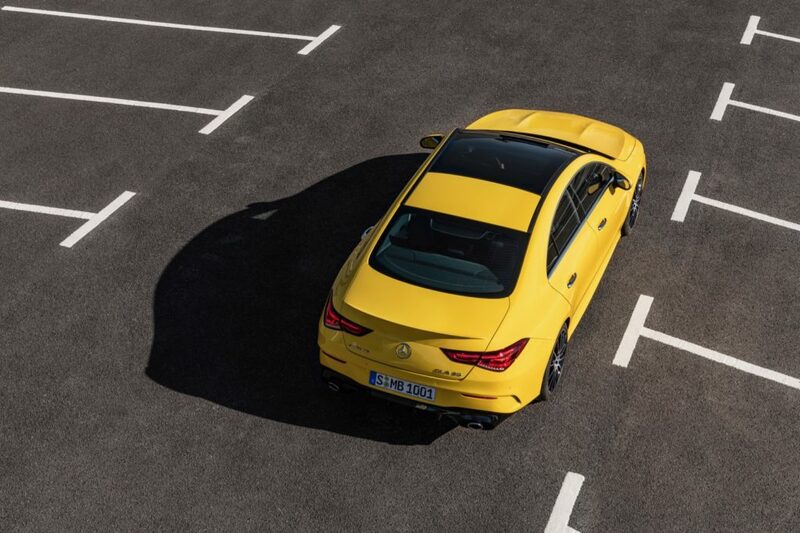 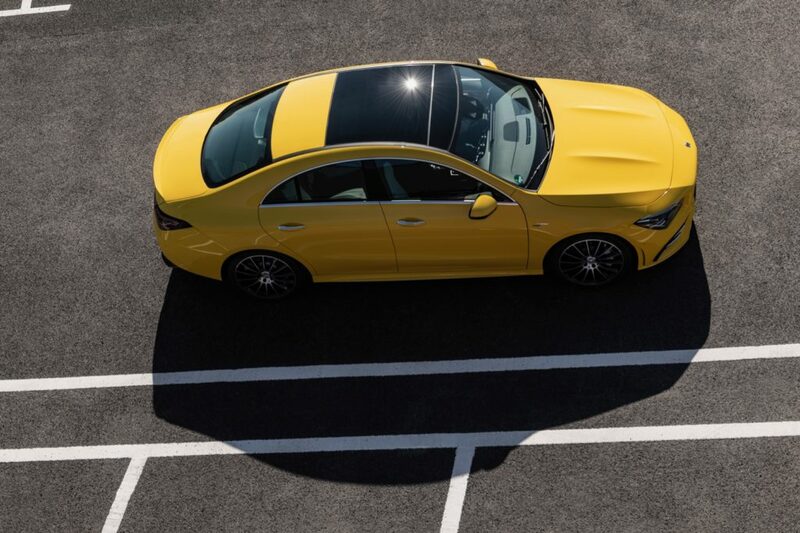 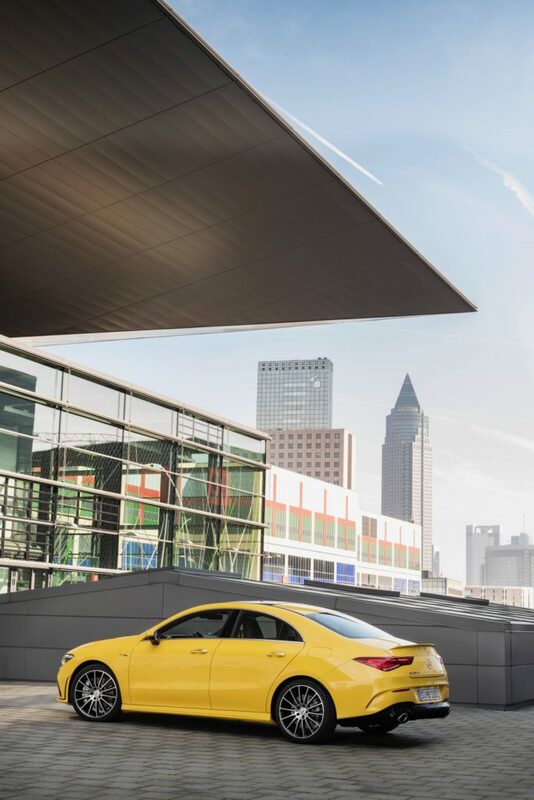 The CLA 35 is powered by a 2.0L turbocharged four-cylinder engine with 302 horsepower and 295 lb-ft. of torque, that’s mated to a seven-speed dual clutch transmission and the 4Matic all-wheel drive system. 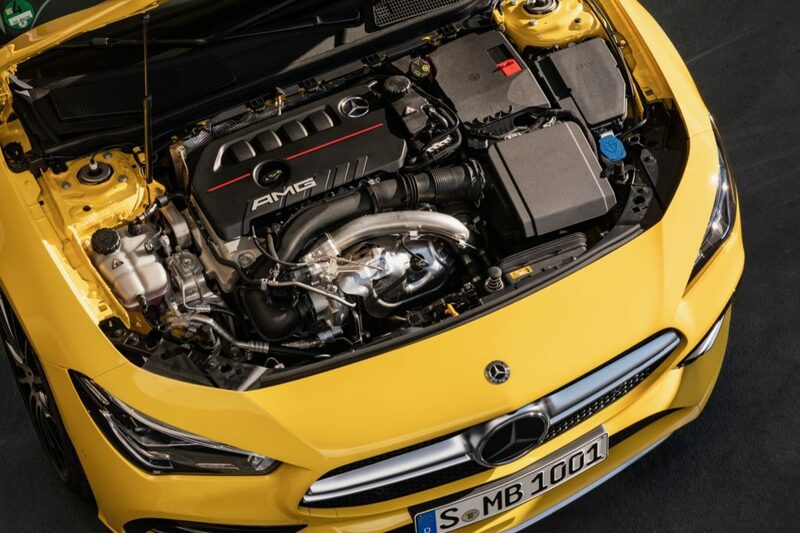 With that much power under the hood, the CLA 35 can reach 60 mph in 4.6 seconds, but Mercedes hasn’t announced its top speed. 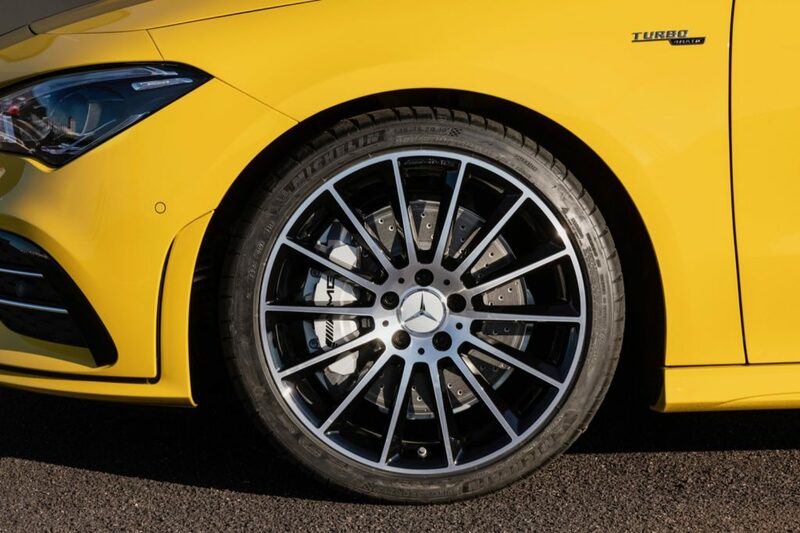 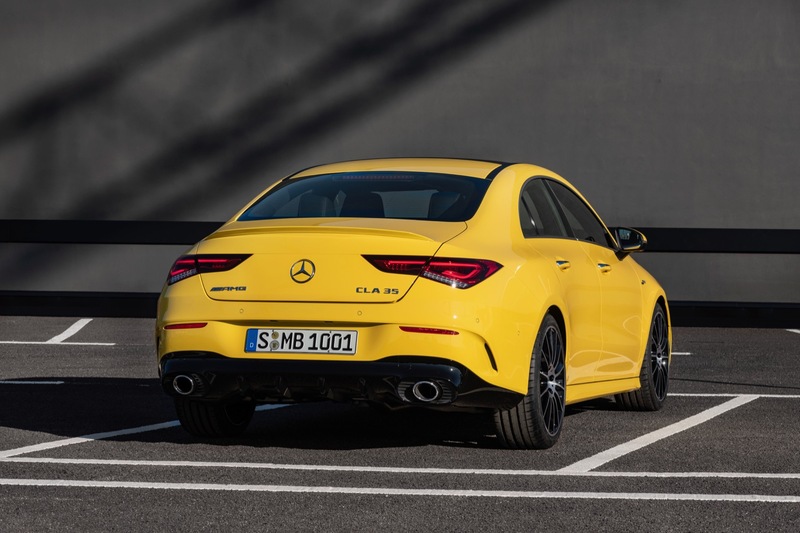 On the outside the 2020 Mercedes-AMG CLA 35 stands out from its slower siblings thanks to its unique hood, grille, unique 18-inch wheels and a rear diffuser. 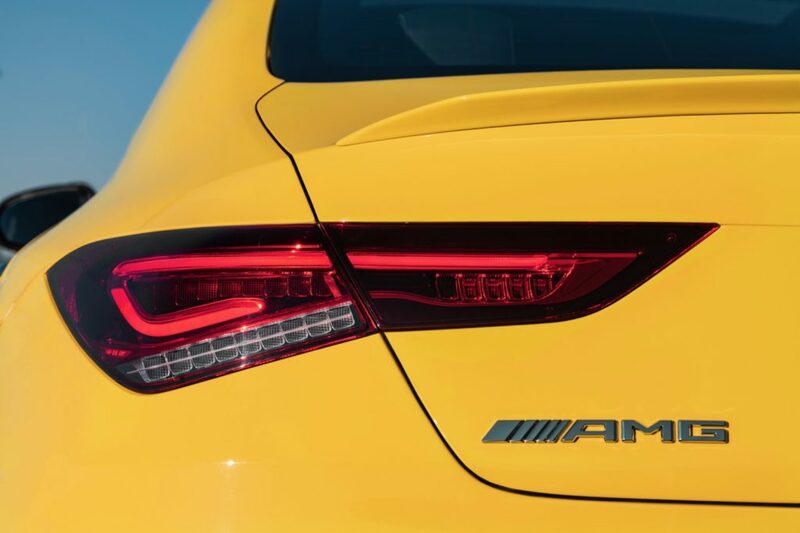 There’s also a small lip spoiler on the trunk and dual exhausts to finish it off. 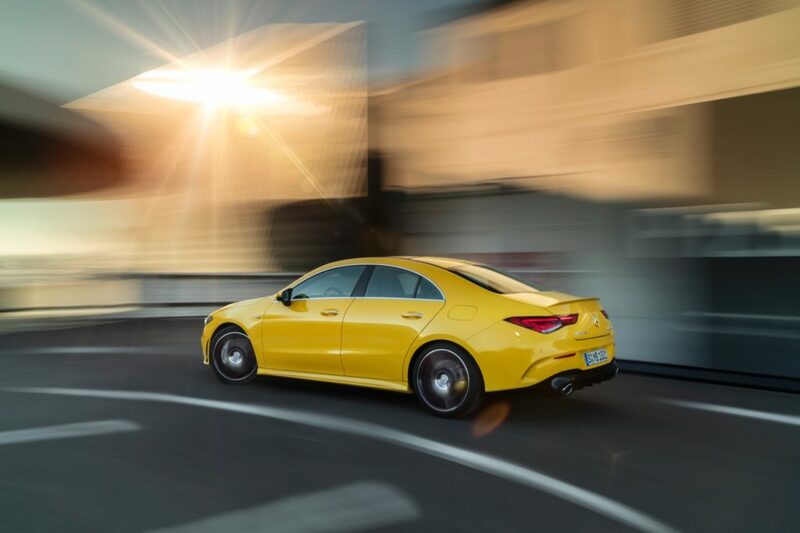 Inside there’s the MBUX infotainment system and a digital instrument cluster with three settings: Classic, Sport and Supersport. 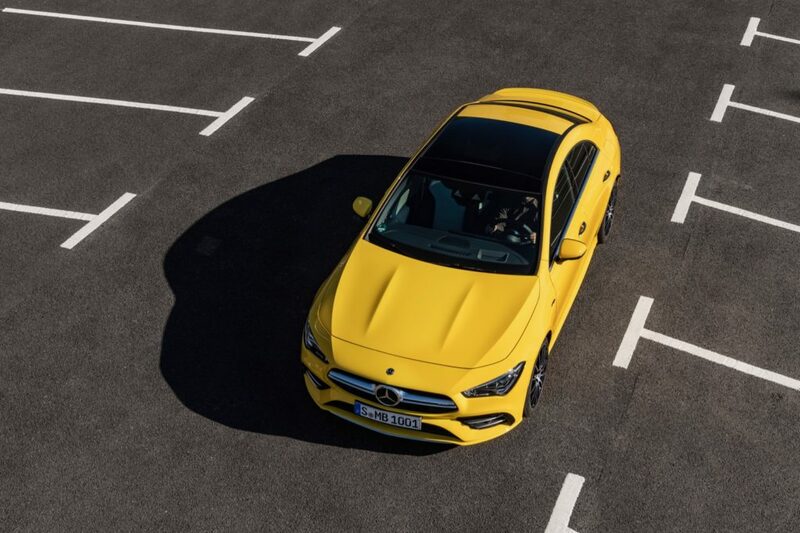 Slippery, Comfort, Sport, Sport + and Individual that alter the responsiveness of the engine and transmission. 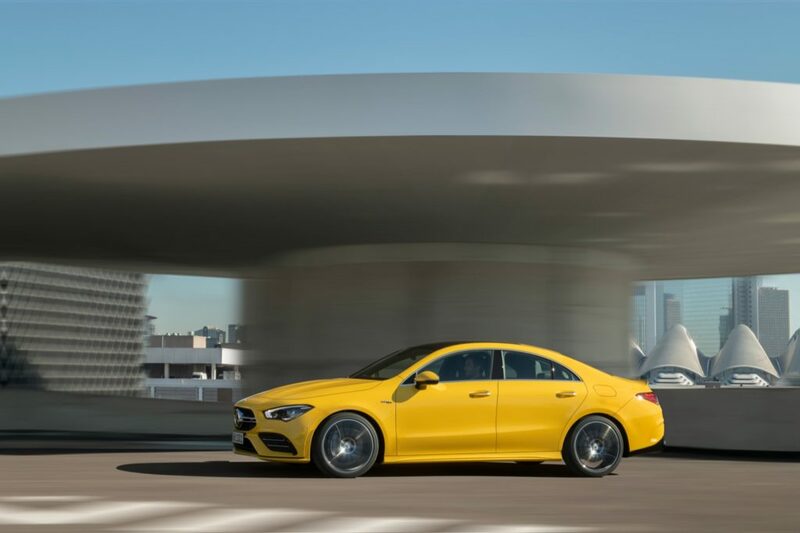 Plus there’s the new AMG Dynamics system will make the CLA 35 even more fun to drive when the road gets a bit twisty. The 2020 Mercedes-AMG CLA 35 will arrive later this year.